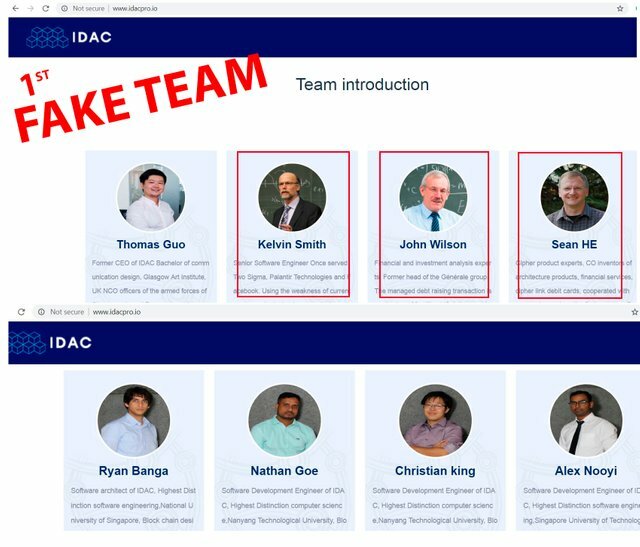 IDACpro scam - Why does ICObench promote ICOs with fake teams? This is what happened: This ICO had a FAKE TEAM and was stealing people's identities and apparently getting help from ICOBench to promote their SCAM. AFTER being caught, these scammers changed their team! Their second team is fake as well. Example: This is an image of Alesya Dovlatova, a prolific Russian journalist and author. We reported this to ICOBENCH and they deleted the scam from their website. BUT something happened and ICOBench took them back, and relisted them with a 3.4 rating. The team didn't pass KYC, then they passed, then they didn't pass again, then they passed again... Oh boy what a mess!!!! 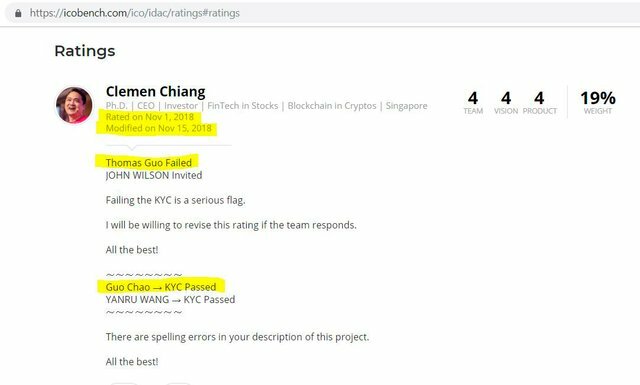 ICOBench kept increasing their ratings as the team kept failing KYC. SO STRANGE! ICOBench invited 3 more members to pass KYC. But one failed (the one with a fake name"OLGA" - picture above). And the ratings increased again, even knowing they are a SCAM. NOW, the Fake "Olga" (picture above) mysteriously passed KYC. And the rating keeps increasing! Here are the other ICOBench experts that rated this scammer. This scammer created another fake website and used someone's name to help to promote their scam. We contacted the foundation via Facebook, and below is the conversation. This is just another clear example of ICOBench corruption! DO you think any country or institution would accept such a lame excuse? ONLY ICOBench accepts these types of excuses without investigating any further. The reason is simple: MONEY TALKS! More details and updates: www.icoethics.com https://bitcointalk.org/index.php?topic=5059552.0 This post was originally posted by ICOEthics on Steemit. About the author: ICOEthics is a free platform dedicated to informing the crypto community about ICO scammers. Their mission is to protect investors by identifying scams.